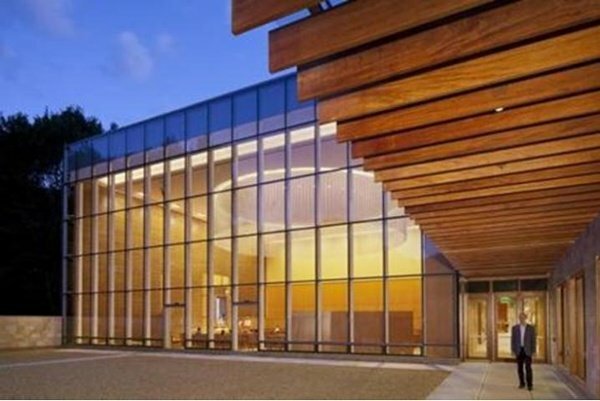 From the outside, the architecture of glass, warm-toned wood, and Jerusalem stone. Trellised glass is the backdrop for the altar at Temple Beth Elohim in Wellesley, putting the congregation near the natural world. 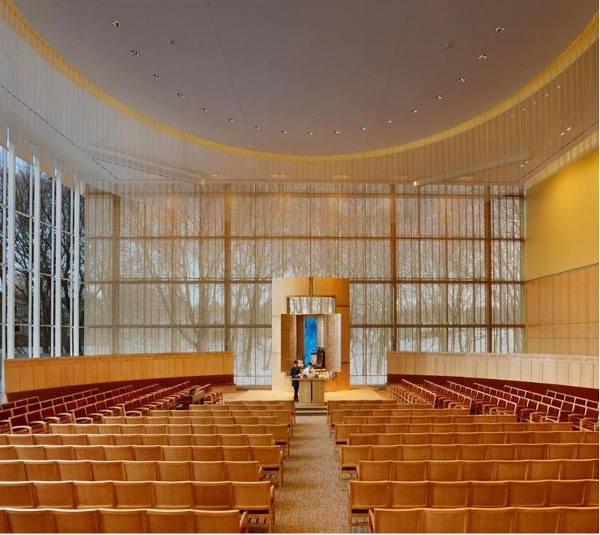 To incorporate numerous green initiatives and sophisticated technology into the building to ensure that the temple can serve its congregation successfully for decades to come, even though not all digital technology the Temple is mature enough at the moment. 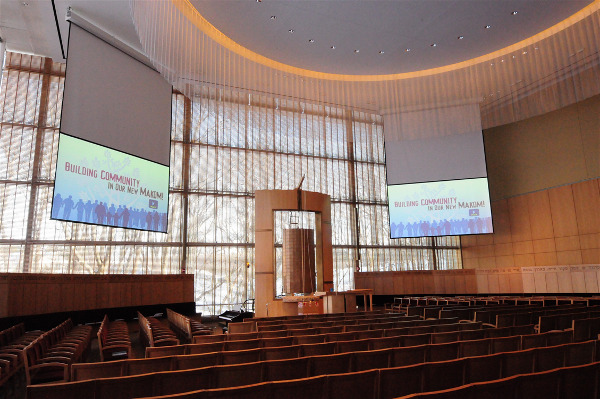 The new AV technology at Temple Beth Elohim has made it possible for a grandmother and grandfather to stream a Temple event to their laptop and dance along with the party from the comfort of their Florida home. A mother can participate in a service from the privacy of a quiet community room as she nurses her baby. The rabbi can now touch a button to augment his service with video clips that support his message. 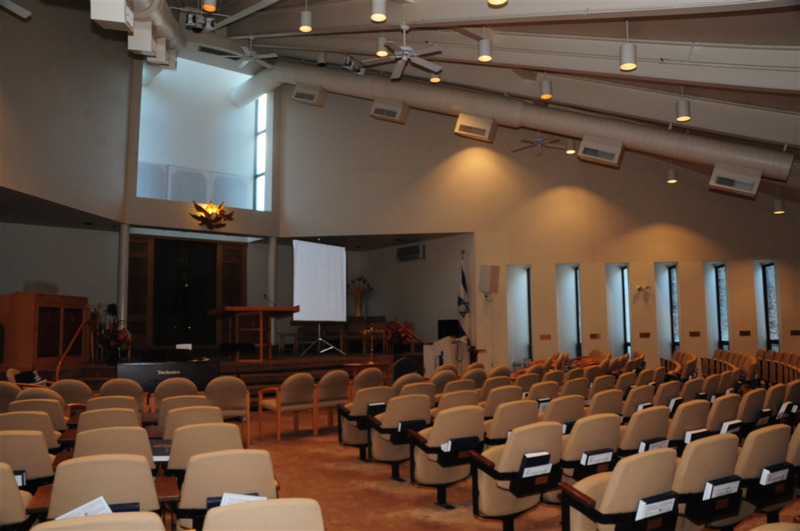 The Temple can host a program of award-winning Jewish films and offer the same AV quality as movie theaters. Complete movie projection system in the main community room. Video streaming capabilities via the Temple's website, enables access to a personalized experience for each person to watch and participate in events from a myriad of locations, ranging from a separate room within the Temple to areas across the country and even the world. "We really needed to have someone we could lean on to help us make good decisions. The Shanahan team's ability to go beyond our expectations spoke volumes about the trust we could put in them"